Now, you know what milk paint is (part 1), you’ve mixed it for your project (part 2), and now it’s time to get your piece ready to paint. This is the part that many people are confused about and where many projects go off the rails. I’ll be honest in saying that I have contributed to that confusion, I’m sure. In this day and age where no sanding, priming or prep is the trend, there is an assumption that you don’t ever have to prep anything before painting it. So, can you paint a piece without prepping it? Yes. You definitely can. And I have many times, which is how I’ve contributed to the confusion. But, I’ve painted enough to know which ones need to be prepped before applying milk paint and which ones don’t. And that’s what we’re going to cover today. So, which ones need to be prepped and how? 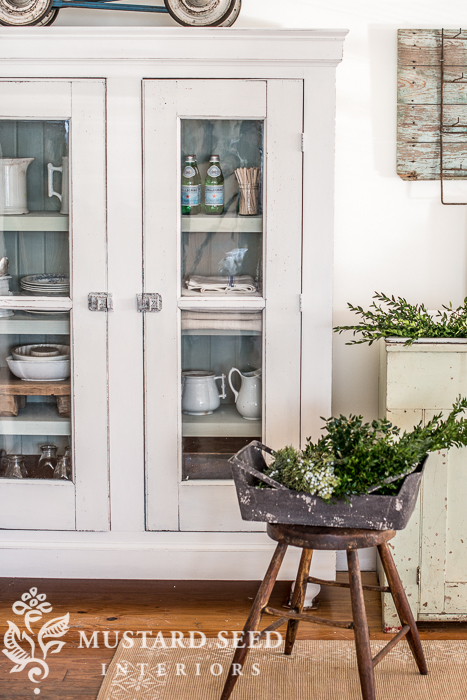 Milk paint is the absolute best paint I know of for raw wood. It will soak in like a stain (as opposed to sitting on top, like modern paints) and will stay there for decades. Even centuries. Seriously. 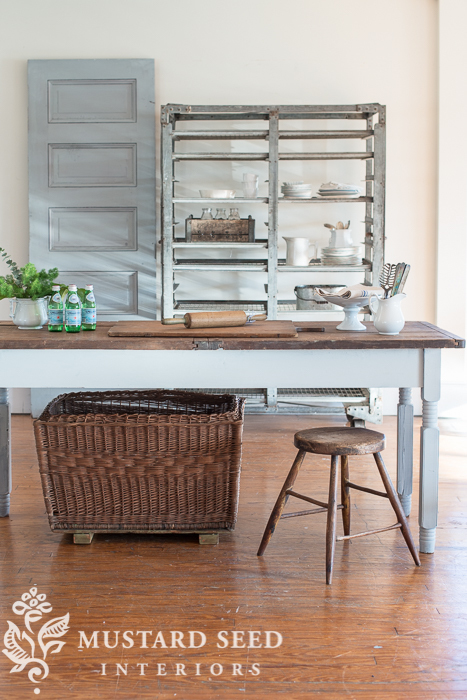 If you have raw wood cabinetry, floors, paneling, etc, milk paint is a fantastic option. You do not need to prime, that would defeat the purpose, but you do want to sand the wood to make it smooth prior to painting. You can also seal knots with Shellac, if you don’t want them to show through the paint. A porous finish is any surface that is flat or matte. This could be a flat latex or acrylic paint, a chalk-type paint, gesso, primer or an older piece where the finish has dulled or mostly worn off. These are the pieces that require the least amount of prep and you can get away with no prep, in most cases. I would say that 95% of the time with these pieces, I just dip the brush in and go for it. 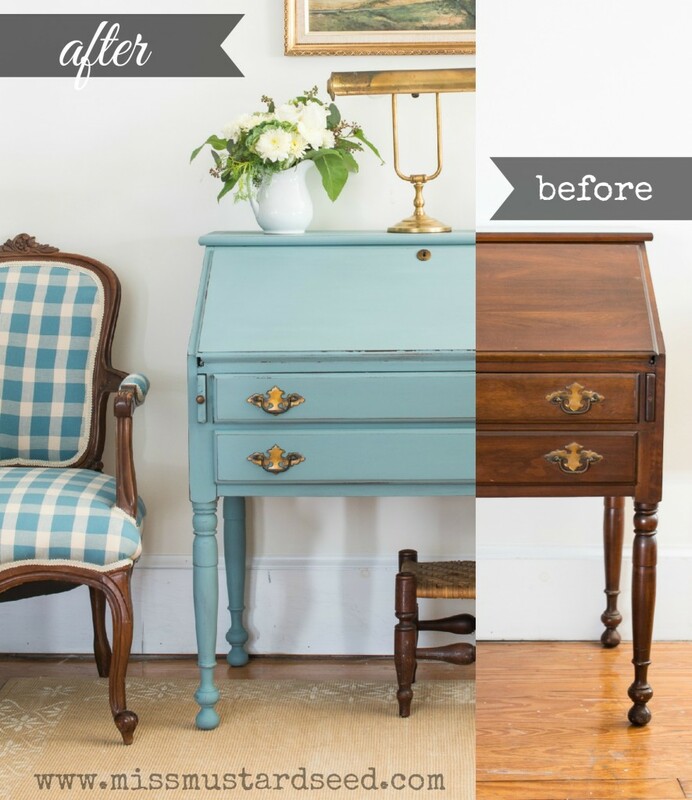 Milk paint tends to like these surfaces and, since they’ve been previously finished, you don’t have to sand them smooth as you would with raw wood. When painting a piece that has a slick, glossy coat of paint or polyurethane (like most “factory finishes”), prep work is very important. Paint needs something to grip. By sanding the surface, you can create “tooth” for the paint to grab onto. 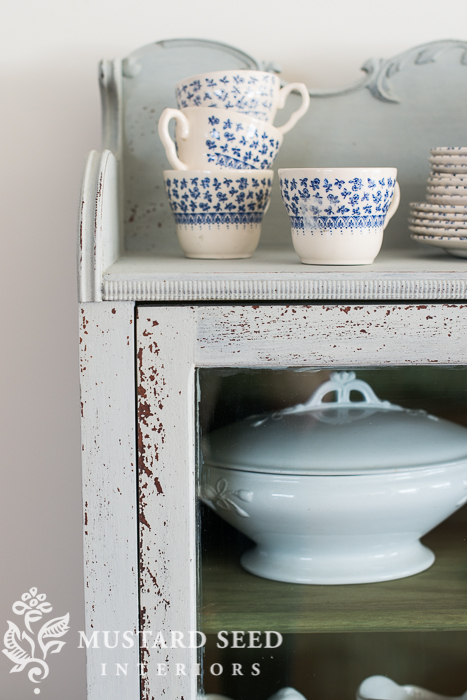 This is especially important for milk paint. We’ll talk about this more when we get to the Bonding Agent, but if milk paint doesn’t properly adhere to a surface (it’s being resisted or repelled by the existing finish), it will chip and flake away. The result can look really cool and authentically old, but it can also fall off in sheets and look terrible. One of the best ways to prevent the paint from chipping (or to make sure it doesn’t get out of hand) is to sand the surface first. For glossy pieces, I rub an 80-100 grit paper over the entire surface. It’s not about stripping off the finish, but scratching it up. I know sanding sounds like a bummer, but this should only take five minutes or so for a dresser. It’s a small investment of time that will make a big difference in the end result. We’ll talk more about the “chippy look” and the Bonding Agent in a future post in this series. These are pretty rare, but they are definitely the trickiest. 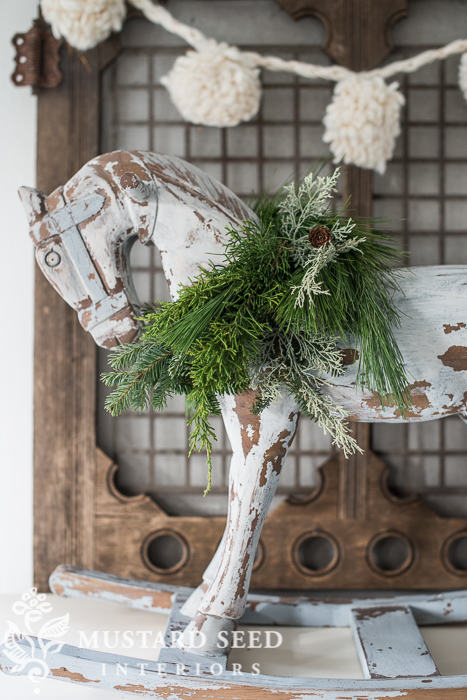 I bought this rocking horse from Restoration Hardware and painted it with milk paint and the paint would just not stick! I sanded, I used the Bonding Agent. I coaxed it and pleaded with it. I finally did achieve a very cool look, but not one that would work for a functional piece of furniture. If you’re painting a really oily wood, like teak, or a piece that has an oiled or polished finish, there might be some issues. This can also be a problem with kitchen cabinets that have an oily build-up from cooking. I was finally able to get the paint to (mostly) stick to the horse by heavily sanding, so that’s what I would suggest for similar pieces. If you’re dealing with pieces that have been heavily polished or have oil sitting on top, like the kitchen cabinets, or a piece that’s been in a workshop/garage and has oily spills on the top, I would take the extra step and clean them with a degreaser. There are always exceptions to these rules…pieces I think will chip and they won’t, etc., but these are pretty general guidelines that will be true in most cases. If you’re a “watcher”, I explain prepping a piece in this video (that I made a few months ago) and also talk about the Bonding Agent and what to expect when applying the first coat of milk paint. PS – And please remove handles and pulls before you paint! 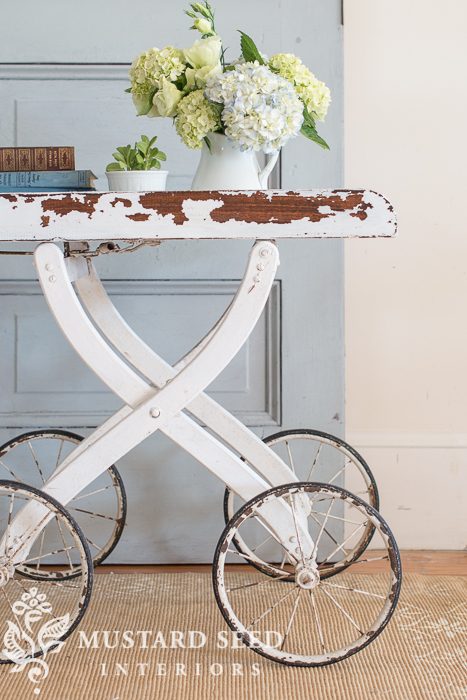 MILK PAINT 101 | WHAT IS MILK PAINT? Quick question, can you milk paint over raw wood that you have just stained? I have the same question. I stripped my kitchen table and am going for the old farmhouse look now. I planned on staining the table a darker stain and then applying farmhouse white milk paint over the stain. I like a medium amount of chipping. Once stained, do I need to sand before painting? Should I use the wax in certain places since the wood is simply stained? Since it’s for a kitchen table what finish/top coat do you suggest?